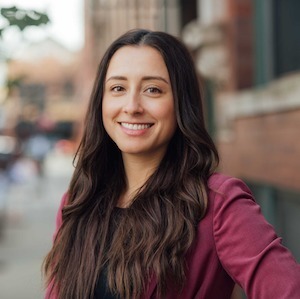 Originally from the western suburbs of Chicago, Tiffany has spent the last 10 years living in Bucktown and Logan Square before investing in a multi-unit property in Humboldt Park with her husband. Tiffany rehabbed the units and kept the original character of the 100 year old building, but added contemporary elements that suit a modern lifestyle. Throughout this process, she learned valuable skills in property management and fell in love with real estate. While Tiffany is fascinated with the design and architectural aspects of this field, her joy comes from helping others find their dream homes and investment properties. She does so by establishing a trusting relationship with clients, and educating them on the important components of purchasing a property. Prior to starting her career in real estate, Tiffany’s focus had been on the hospitality industry. She graduated from the University of Illinois at Urbana-Champaign with degrees in Hospitality Management and Business, and went on to work for well-known restaurants such as Next and Big Star. Her attention to detail and warm personality allowed her to thrive in the different positions, and the experiences provided her the opportunity to hone skills that are essential in real estate. She has the ability to multitask in stressful situations, innately understand what people want and need, and remain calm under pressure. Outside of real estate, Tiffany loves to travel. She strongly believes that one of the most important ways to grow as a person is by experiencing new cultures. Tiffany spent time living in Costa Rica, studying the language and culture, while also volunteering as an English teacher at an elementary school. She soaked in their nation’s motto, “pura vida”, which means that life is good and should be lived to the fullest without regret. She continues to adhere to that today.